Is the TPA really for you? 2019 Trimester 1 class, Hebrew and OT Exegesis, is now in progress Feb-May! Q. Is the TPA program an alternative to traditional seminary? Q. With no official M. Div. granted, how is this helpful for a man pursuing vocational ministry? A. A man who goes through the TPA instead of traditional seminary would definitely be limited. He’ll have to be aware of that from the beginning and decide if it’s worth it. However, the TPA isn’t necessarily designed to prepare guys to go pastor 200+ member established churches. Our vision is for the TPA to churn out guys who will plant churches (particularly in the TPA region), take on churches in need of revitalization, or who will go off to Indonesia or Iran or someplace and plant churches and disciple people there. The students in this program will have to share our conviction that life is short, and they’ll have to prefer the anonymity and lack of prestige in favor of doing front-lines ministry for the glory of Christ. Q. How much does the TPA program cost a student? A mentoring church? A. The TPA charges no tuition or fees from students. Expenses related to the program will chiefly be books and gas. It is likely students will need to get a job concurrently to support themselves. Mentoring churches decide individually as to if they want to buy a student’s books, provide him housing, pay him, etc. The TPA requests partner churches make a yearly or monthly contribution to help cover administrative costs of the program. Q. Is the TPA affiliated with a particular denomination? A. No. The TPA network includes participating churches from the North American Baptist Conference, Converge Worldwide, Southern Baptist Convention, Sovereign Grace Churches, and some that are not affiliated with a denomination. The TPA network is open to including participating churches and pastors who resonate with our convictions (see the Convictions document or the Catalog). Q. Who are the current participating churches and pastors? A. 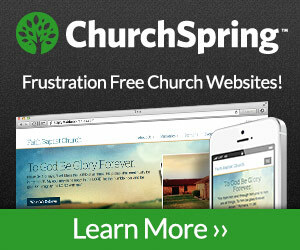 Check out the Partner Churches page. Q. Who decides admission questions, who the mentor pastors and churches are, who teaches what classes, how the curriculum is set up, and if a mentor pastor or student should be removed from the program? A. A group of mentor pastors who form a Board of Directors which meets regularly and makes consensus decisions. The Board of Directors as of 2018 consists of Joshua Brown (SCBC, Rapid City, SD), Andy Wright (RCC, Dell Rapids, SD), Zach Sommerlot (DBC, Denver, IA), and Ryan Franchuk (RCC, Dell Rapids, SD). Ryan Franchuk currently serves as the program Administrator. Q. How does the TPA keep from going liberal or losing focus? A. Every 6 months the mentor pastors in the network reaffirm their commitment to the program and the core of doctrinal convictions, and the other mentor pastors reaffirm them with a vote of confidence. Q. What is the long-term TPA vision? A. While we have very high hopes for every TPA student and church, we have modest empire-building aims. We’re not looking to build some kind of flagship institution. We don’t want a building or land, as that would be antithetical to our entire philosophy. We do pray that God will expand our network of churches and students to whatever extent will most serve His glory and the spread of the Gospel, even one day including Regional Hubs of the TPA across widespread geographical area.